Police have intercepted a Heavy Goods Vehicle on the A303 this afternoon. The incident took place on the westbound carriageway of the A303 at Popham Services. Access to the services was blocked by the lorry. At around 4.00pm an eye witness saw the back doors of a HGV open with police escorting what they believed to be immigrants from the back of the lorry. There were at least four police cars and four police vans in attendance with a large number of police personnel standing by. 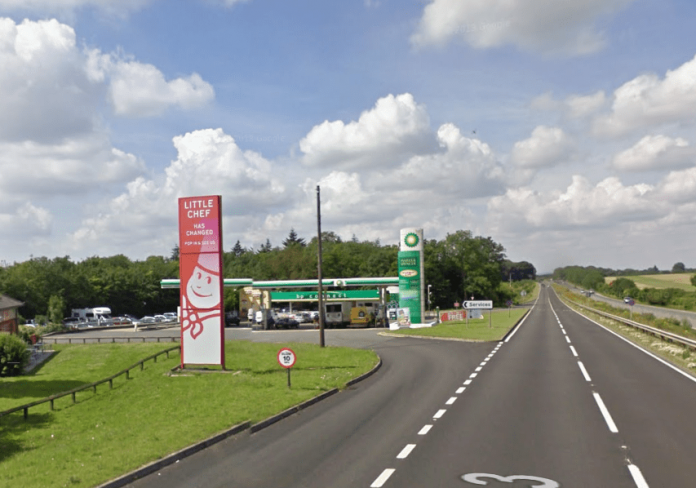 “We can confirm that we were called to Popham Services at 1.40pm today to a report that a lorry driver believed there were people in the back of his lorry. Andover Politics – Are Advertising Boards for Political Gain?